MPO connectors increase your data capacity with a highly efficient use of space. 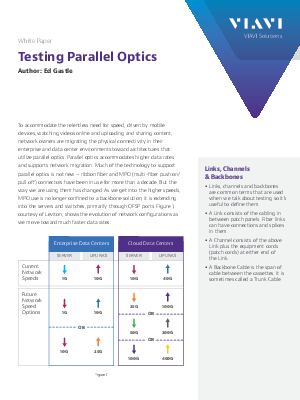 But users have faced challenges such as extra complexities and time required for testing and troubleshooting multi-fiber networks. VIAVI helps overcome these challenges with the industry's most complete portfolio of test solutions for MPO connectivity. Download this White Paper to learn more.